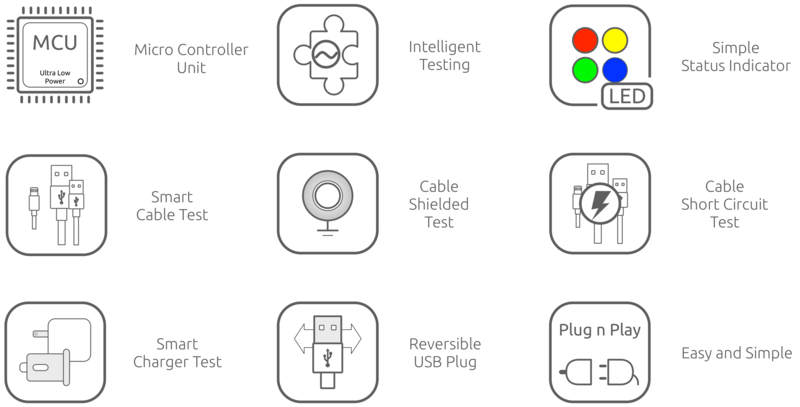 QooPow™ qualMeter is a revolutionary, smart and cost-efficient DIY device, which can simply help you to diagnostic and get to know the quality of your USB cables and chargers in a glance without any technical background. qualMeter helps to address some common issues with USB cables and chargers, such as slow charging, cable/charger gets hot, shorted cables, slow data transferring and so on. It also prevents you from unsafe charging by detecting defective cables and chargers. 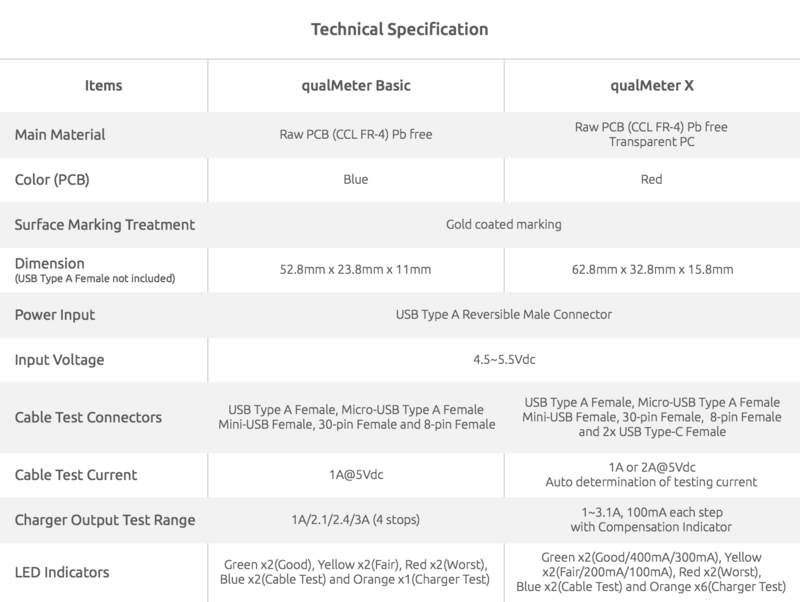 QooPow™ qualMeter is suitable for wide range of mainstream cables including Micro, Mini USB, 8-pin, 30-pin, and Type C and is compatible with most of major 5v USB chargers. qualMeter X is more for geeks and technicians as it has more advanced features which would require some basic electrical knowledge. 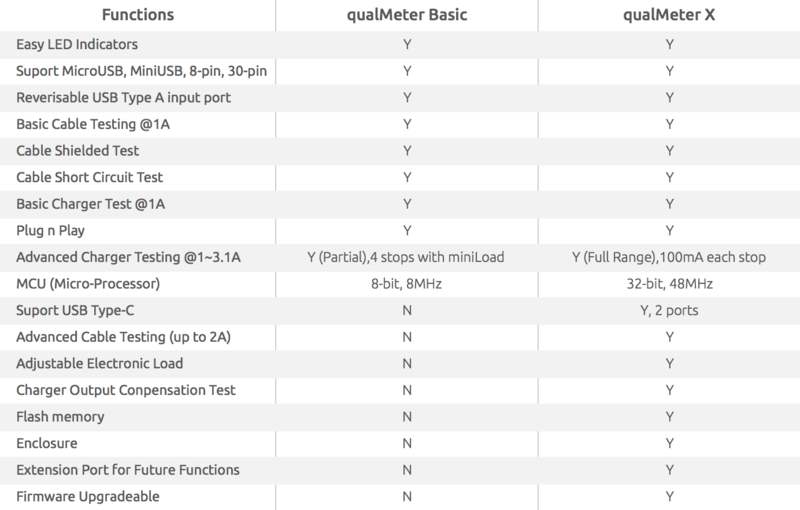 What are the differences between qualMeter Basic and X?